Whether you are building a new home or needing a roof replacement on your current home, choosing your roof material and style is a big decision. Different types of roofs are better suited to different types of roofing materials. Factors such as the strength of the framing could limit your choices. The slope of the roof could be a factor as well. Do you live in an area prone to ice storms, severe thunderstorms, wildfires or tornadoes? These all affect the decision in roofing material and will also affect who you choose as a roofer. You want a roofing company that has expertise in all areas of roofing. Composite Asphalt Roofing: There are two types of asphalt shingles – 3 tab and architectural shingles. These are the most common residential roofing options. Asphalt shingles are made of either organic paper fiber mat or fiberglass infused with asphalt and coated with mineral granules. Asphalt shingles are very affordable while maintaining an attractive look and weather tightness to the home. Asphalt shingles are available in many colors while architectural shingles (a premium grade of standard asphalt shingles) have many tones in each shingle to lend a high-end look to this option. Architectural shingles are thicker than standard shingles. They are a petro-based product that can be recycled but are often found in landfills. 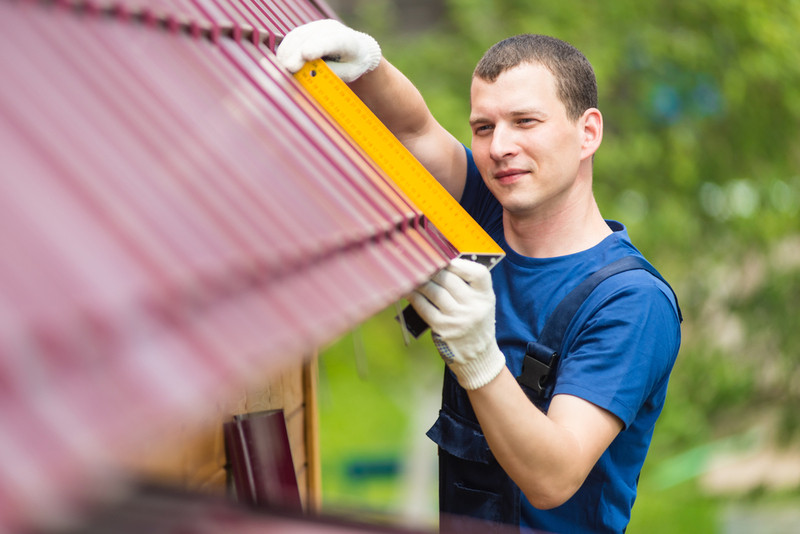 Asphalt shingles are not as durable as other roofing materials. They are relatively moderate in weight and can be used on a fairly low-to-steeper sloped roof. Tile Roofing: Tile comes in a wide variety of colors from light to dark. There are clay tiles and concrete tiles. It can be matched to any architectural style either looking like tile or resembling other roofing materials such as wood or slate. Tile roofing is appraised higher than other roofing materials. It has the lowest life cycle cost – lasting a very long time. Clay tiles can last up to 100 years, with the average being about 50 years. Both clay and concrete are heavy and require reinforced roof framing to support them. Tile has excellent fire resistance but only fair-to-low wind resistance. It is recommended for moderate to steep roofs. Clay tile tends to be more expensive than concrete tile. Slate Roofing: Natural slate roofing is considered one of the most beautiful roofing materials. It comes is varying colors, sizes and thicknesses. When installed correctly, it should last at least 100 years, and up to 150 years. Slate is one of the most fire-resistant roofing materials and is environmentally friendly because of its longevity. Slate roof is very expensive and requires a specially trained roofer for installation, such as Broadway Roofing. It has good fire and wind resistance. Slate is very heavy so it requires a reinforced roofing structure to support it. It is recommended for very steep sloped roofs only. Wood Roofing: Wood (Cedar or Redwood) Shake roofing is an attractive roofing material that ages into a beautiful grayish-silver tone. It is durable, lasting about 10 years longer than traditional asphalt shingles. They do require maintenance to prevent moss, mold and mildew growth. Often preventatives are added to the wood at processing to avoid these problems. Wood provides natural insulation, allowing conservation of heating and cooling costs. It is fairly common in the southern part of the United States. Broadway Roofing can inspect your cedar roof for issues whenever requested. Wood shingles can be used on moderate to steep sloped roofs, and provide good wind resistance. It is moderately priced and eco-friendly. Built-up Hot Asphalt Roofing (BUR): This is a multi-layered system of reinforcement that offers more protection, reducing the risk of leaks versus a single layer system. Nothing compares to hot asphalt when it comes to making a roof water resistant. This system protects and seals up the entire roof. BURs are used on flat roofs and are more common in commercial roofing. Cold Process Applied Modified Roofing: This roofing system consists of multiple plies of reinforced sheets that are set in a cold adhesive. Similar to the BUR (above), the advantage is the ease of application. It can be applied over existing smooth-surfaced roofing systems in order to extend the existing roof. Like BURs, it is used on flat roofs and are more common in commercial roofing. EPDM Roofing (rubber): This is a flat roof roofing system, used primarily in commercial roofing. The biggest advantage of EPDM is cost, one of the most inexpensive materials around. It is easily installed and fairly durable. EPDM is not damaged by UV rays and therefore helps it hold up in sunny climates. When you are in need of a new roof or a roof replacement, contact Broadway Roofing – we will be happy to help you decide which roofing material is best for you and your home.